Canadian customers must select DHL shipping. Only available in U.S and Canada. Customers outside the U.S. are responsible for any applicable import taxes and duties. 20 Characters Max, will appear as entered in ALL CAPS. No Emojis. 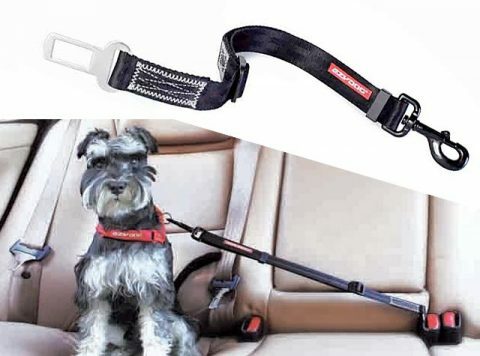 Keep your Tripawd safe in the back seat while traveling! Personalize the EzyDog Tripawd Convert with your own custom side badges for a truly unique walking harness with quick-connect straps. Or, get additional badges for your existing Tripawd Convert harness. Purchase includes coupon for $5 Off Tripawds E-books! Add custom badges to the Tripawd Convert by EzyDog to personalize your harness! The Convert is a great walking harness for active three-legged dogs that offers superior control and comfortable torso support. 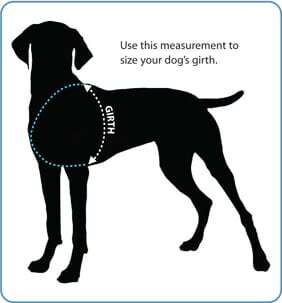 Lightweight yet sturdy, the Convert is designed to not shift around the body of front-leg Tripawds. 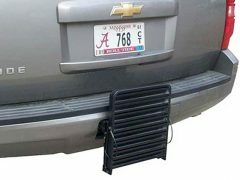 The Convert includes two “TRIPAWD” side badges. To customize the harness with your own personalized message, select the badge background and add up to 20 characters of text. Get $5 rebate when ordered together with the SnakPak Treat Bag by EzyDog! Get the Custom Convert if you’re looking for a truly unique all-purpose walking harness with a handle to offer support when needed. 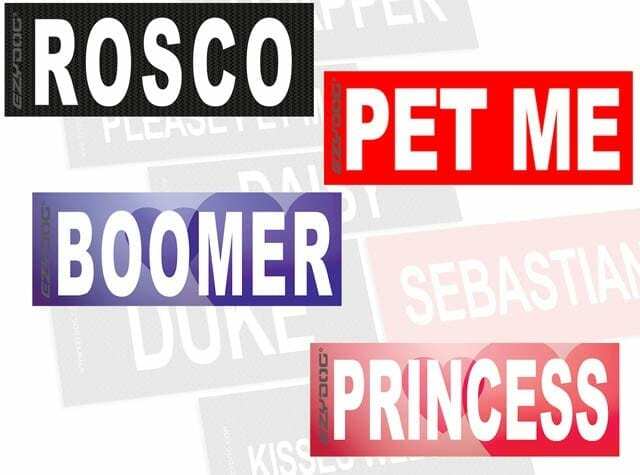 To get the harness without custom badges, select the original Tripawd Convert here. NOTE: ONLY AVAILABLE IN U.S. AND CANADA. Canadian customers must select international shipping option. All other customers, please visit ezydog.com to find international distributors. Orders must be received by 9:00 a.m. PST to go out the same day. NOTE: Custom printed badges are nonrefundable. 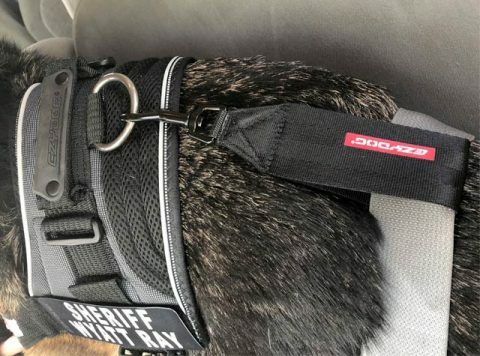 Add custom side badges to personalize your Tripawd Convert harness! Custom text is limited to 20 characters, including spaces. No Emojis Allowed. 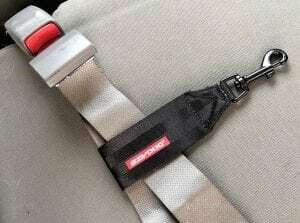 Add a seat belt restraint to keep Tripawds safe in the car! 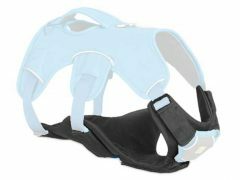 Attach a restraint to the Tripawd Convert harnesses to ensure your pup is safe in the back seat while traveling. Vehicle dog restraints have become law in several states in the US, so protect your pup while on the road. Two styles to choose from. Only available when purchased together with harness. Be the first to review “Custom Convert Harness or Badges” Click here to cancel reply.